With the spotlight on issues surrounding boardroom diversity and composition, access to data and analytics to spot opportunities and improve your board is now more important than ever before. Leveraging the same information that proxy advisors, shareholders and potential activist investors rely on is critical to good governance practices. 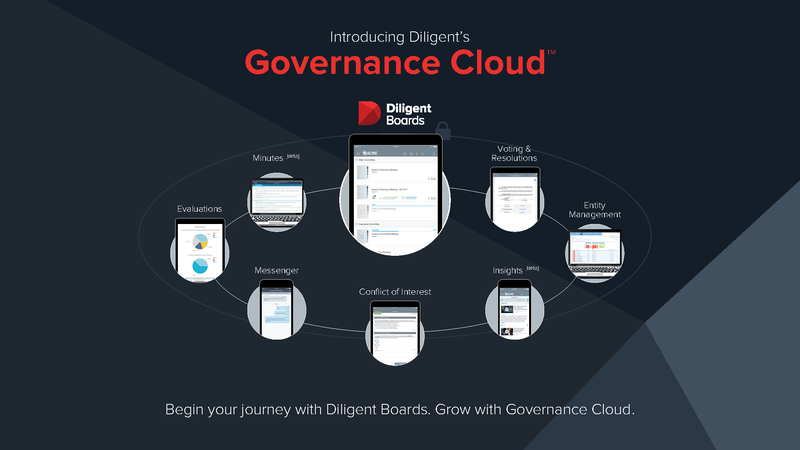 Diligent’s Nomination and Governance application provides the largest global governance data set for boards to stay up to date, identify opportunities and reduce governance risks – and is integrated directly into your Diligent platform. 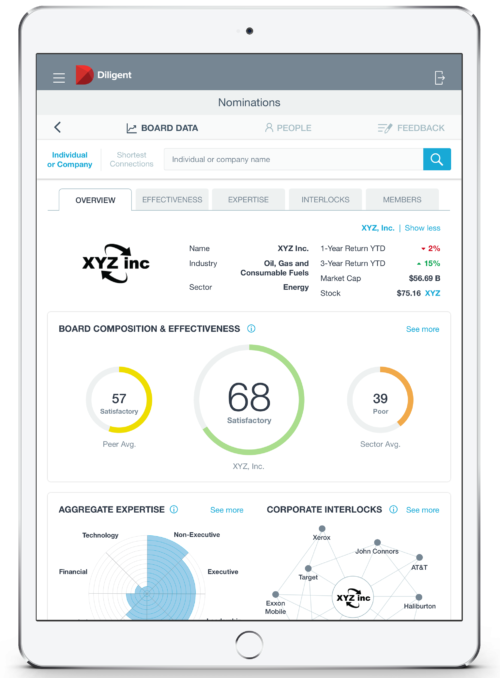 Nomination and Governance committees can gain instant insights into their board’s composition, benchmark against competitors, and support their executive search firm to identify potential candidates. All in just a few clicks. Access the most difficult to reach C-level executives with detailed biographies of 125,000+ directors and executives. Find the best-quality prospects to complement your succession planning, with granular filter options including experience, demographics, region, sector and discipline. Mitigate governance risk by instantly performing a health check of your board’s composition and effectiveness compared to peers. View a detailed breakdown of contributing factors to a board’s effectiveness, including gender and age diversity, director interlocks and over boarding. 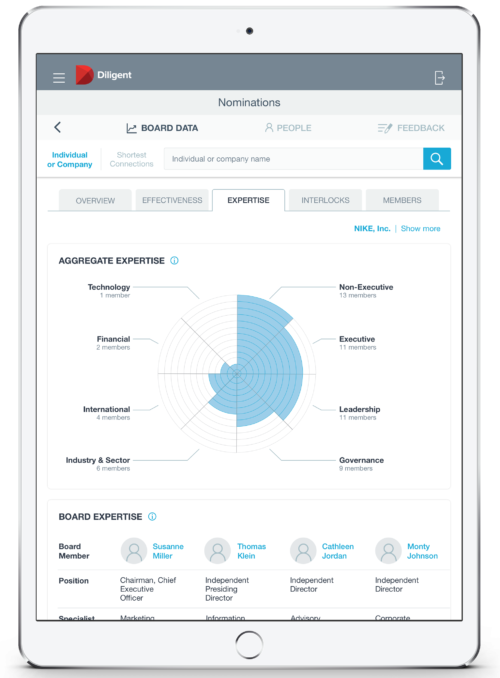 View your board’s skills and expertise matrix to gain insights of their combined strengths and weaknesses. View in detail by individual director or compare your organization’s expertise against your peers. Analyze director interlocks by individual or company, with highlights to indicate overlapping directorships, seats on competing boards and seats on FATF listed companies. Find the shortest path to connect and the degrees of separation to an individual via organizations or people. Search and access the information of 5,500+ companies, across 24 global markets and 40 indexes. Identify board opportunities and reduce governance risks with unique insights, real-time data and benchmarking tools at your fingertips.